Order in the next 11 hours 25 minutes for delivery on Wednesday, April 24. Total Carat Weight – 3/4 ct. tw. 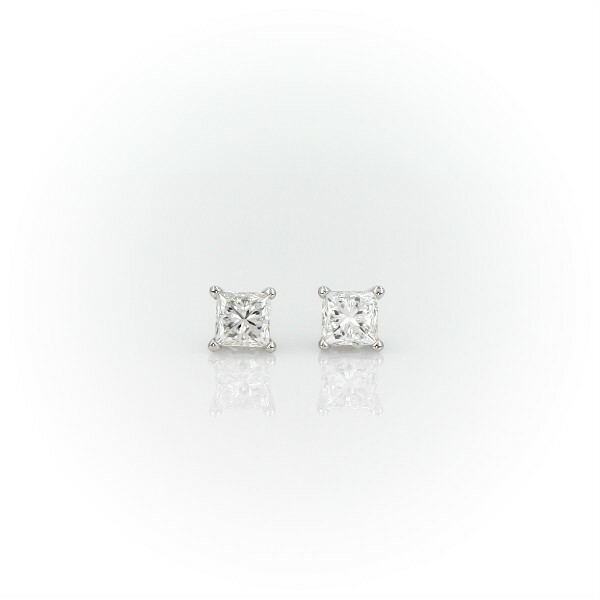 A matched pair of princess-cut diamonds are held by platinum prongs. Earrings are finished with double-notched friction backs for pierced ears. Each earring weighs roughly 3/8 carat, for a total weight of 3/4 carat.